Stuart H. Bohart, President of Liquid Markets at Fortress Investment Group, will discuss “Investing in Complex Global Markets - Strategies for Good Times and Bad” at 4:10 p.m. Tuesday, September 20, in Leon Johnson Hall 339 on the Montana State University campus. Admission is free and open to the public. The lecture is part of the MSU College of Business’ David Orser Executive Speakers Forum. Fortress Investment Group is a leading, highly diversified firm specializing in private equity, credit, real estate and hedge fund investments. Founded in 1998, Fortress has fourteen offices around the world. Bohart was previously Co-head of Morgan Stanley Investment Management, responsible for $400 billion of client assets across retail and institutional strategies, including cash management, equities, fixed income, hedge funds, quantitative strategies, and fund of funds. 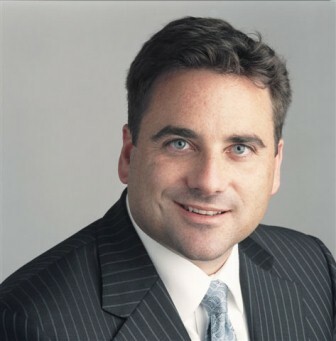 Bohart joined Morgan Stanley in 1997 as a portfolio manager, and subsequently held various roles, including head of global prime brokerage and head of alternative investments. He was also a member of Morgan Stanley’s Management Committee. His previous employment includes portfolio management roles at Harvard Management Company and Banker’s Trust. Graduating from Northwestern University in 1989, Bohart holds dual degrees in Economics and Asian Studies. He has lived and worked in Beijing, Tokyo and London. He currently resides in New York City with his wife and three daughters. Bohart is Chair of the Advisory Board of the Smithsonian’s National Museum of African Art and is active in the Mayor’s Fund to Advance New York City through his involvement in Greater NY.